The corrupt company has been linked to the deaths of 300,000 farmers. 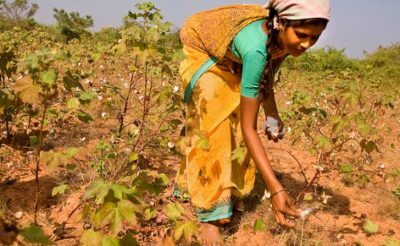 After illegally pushing a form of Bt cotton into India and Africa over 10 years ago, agrochemical company Monsanto is now losing millions of dollars due to farmers now planting their own indigenous seed. In the past, Monsanto has been accused of writing laws and breaking them in order to enter the Indian market. However, the company has now begun paying heavily for their misdeeds, following more than 300,000 farmer deaths between 1995 and 2013, many of which were attributed to Monsanto. Farmer suicides throughout Maharashtra, which is considered to be the ‘Cotton Belt’ in India, have also been linked to the greed of the corporation, according to reports. The Indian government has now begun actively promoting the use of indigenous seed, whilst also publicizing Monsanto profiteering illegally on Bt cotton seed. Additionally, after finding the seed produced a poor quality cotton that fetched low prices for the farmers who chose to grow it, Burkina Fasso in West Africa also recently rejected Monsanto’s Bt cotton seed. Monsanto has argued that the genetically modified seed is better, however, many studies have disputed that statement, claiming that Monsanto’s comparisons did not examine hybridized and indigenous seed (not GM seeds) that give better crop quality and higher yields. Bt cotton is classified as a genetically modified seed that contains a bacterium called Bacillus thuringiensis, which produces toxins that are harmful to a variety of insects, including bollworms that attack cotton. However, just as weeds become stronger against weed killing formulas, many organisms also become stronger against genetic mutations of Mother Nature’s creations. Monsanto has even admitted that insect resistance to Bacillus thuringiensis is ‘natural’ and ‘to be expected’. 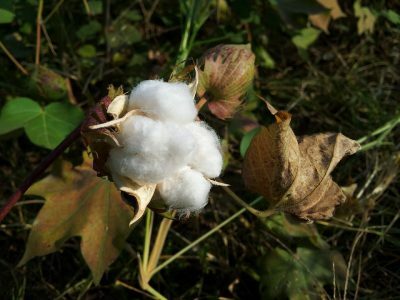 Studies have found that the indigenous varieties of cotton have reacted better against the bollworm, whitefly, drought, and other dangers that cotton farmers face. Monsanto has since threatened to pull out of India completely, after the government threatened to lower their royalties.